K9 Kare Pet Sitting Service is owned by Marge and Ken Ewart. Our background is in property management and the hotel resort industry in the Caribbean. We were very involved in rescuing dogs and cats, nursing them back to health and finding good homes for them. Due to the remote location we often had to rely on our own resources and common sense to care for the animals in emergency situations. Upon returning to Canada we realize just how busy and hectic people’s lives are these days and how their furry friends can become a worry to them. Being animal lovers and pet care givers, K9 Kare was born. We are Pet First Aid Certified, Insured, Bonded and members of the All Canadian Pet Services Network. We are well acquainted with traveling with pets and the stress it can put on them and yourself. This is one of the main reasons we can see the advantage in pet sitting. Your furry friend can remain in their familiar and comfortable surroundings allowing them to be stress free. 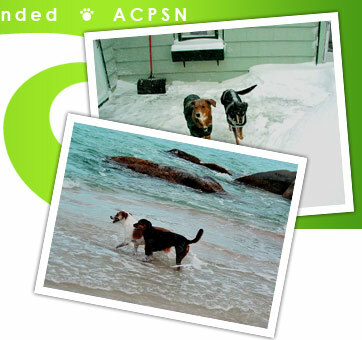 We are dedicated to the well-being of our pet client and giving peace of mind to the pet parent. To give our pet parent: peace of mind that their beloved pet is in the best of care. To the pet: exercise, affection, security to reduce stress and anxiety.